Plymouth Diving Centre is one of the largest PADI diving centres in the UK. We provide diver training at all levels from try dives to instructor development as well as development courses from the Divers Alert Network (DAN) and Emergency First Response (EFR). 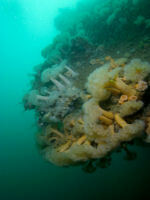 We offer regular dives from our 11.5m boat, Phoenix, as well as shore dives from locations within Plymouth Sound. Our centre also offers kit hire, equipment sales and servicing. No matter what your level of training or which organisation you are certified by, we welcome you to join our dives in the beautiful surroundings of Plymouth Sound, South Devon and along the coast of South East Cornwall. We dive all year round and are always eager to share our love of diving with you, as are the many members of our active, friendly, dive club who benefit from discounted diving as part of their annual membership. We always have divers looking for a buddy and will happily pair you up if required. We also cater for larger groups of up to 12 divers, tailoring dives to suit if requested or chartering our boat for your own private trip. Have a look at our schedule to see our upcoming planned dives. We are committed to providing you with the best experience whatever your involvement with us. That's why PADI headquarters have recently recognised us for our high standard of customer service and professionalism. Plymouth Diving Centre is located in Queen Anne's Battery marina right next to the historic Barbican and Hoe area, and just ten minutes walk from the City Centre, with endless choices of accommodation to suit all budgets and a wide range of eateries to suit all tastes. As part of Dive Centre Ltd, our sister centre Teign Diving Centre also offers the chance to dive further up the Devon coast in the Torbay area. You can find out more throughout this site or contact us to discuss how we can help you.